Bethune-Cookman University is suing Virginia Union University’s president, Dr. Hakim Lucas, and other former Bethune-Cookman officials, alleging “illicit and fraudulent” conduct related to the construction of a 1,200-bed dorm. In a 164-page complaint filed in Florida, BCU charges that the project developer, Maryland-based Quantum, made unlawful payments to Bethune-Cookman administrators. With the acceptance rate at BCU up by 30 percent in 2015, the historically Black college in Daytona Beach, Fla., welcomed the largest enrollment in the school’s history. More than 900 students lived in leased hotel rooms or off-campus residences. Many had to take shuttles back and forth to campus and approximately 300 accepted students had to withdraw because of insufficient housing. New residence halls were deemed necessary by the Board of Trustees. The project’s stated cost was $59.2 million, based on the construction company’s figures, but BCU paid $85 million for the venture. The eventual price tag of the 40-year lease is $306 million, if the project proceeds through its scheduled maturity of expenses and interest. Even with the uptick in enrollment, the university, already in debt, lacked the cash or credit to manage such a lucrative contract. An internal committee assessed bids on the project and recommended to the Board of Trustees to retain Quantum. The recommendation was passed along to the University’s Board of Trustees, the deal was approved and the residence hall was built. The Thomas and Joyce Hanks Moorehead Residential Dorm opened in spring of 2016. An investigation into the dorm deal — which included hundreds of documents, emails, court records and financial reports —found that the dorm’s developer, Darnell Dailey, allegedly had been sued twice for fraud and that his company had no track record in building college residencies. Bethune-Cookman’s lawsuit alleges fraud and bribery, specifically that Dailey paid illegal kickbacks to Lucas – who was the vice president for Institutional Advancement – and two other officials against the best interests of BCU. The complaint alleges that Lucas used hush money to buy the silence and complicity of other campus administrators. In April 2015, former BCU board member Johnny McCray, Jr. asked for a forensic audit of the contract. The board voted 36-3 against the audit. Asked for comment about the lawsuit, Bethune-Cookman board member Dr. Kent Sharples, CEO of Business Alliance, would only say: “As a board member involved in a pending investigation, it would be inappropriate for me to comment.” Other university officials did not respond to calls seeking comment. The complaint also mentions documents that were discovered about an under-the-table agreement between a developer, allegedly Quantum, and Bethune-Cookman to build a high-rise apartment building to be named the MLK Lofts in a community called Midtown. This alleged agreement was kept secret from the board of trustees, according to university officials. By 2017, the university wished to get out from under the MLK Lofts deal made with a group named Heron Development, a breach that would incur millions of dollars in additional debt, much of it in legal expenses. The original plan under former President Edison O. Jackson was for BCU to manage the Lofts and earn $45 million from the venture over the course of decades. Jackson, who now lives in Virginia, resigned a year before his BCU contract expired. 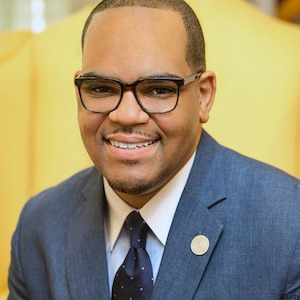 In July 2017, the college suspended Lucas for “various violations of school policies and other financial irregularities.” A month later, Virginia Union appointed him its 13th president. Lucas has denied any criminal activity and retained private counsel. On its surface, the case of BCU v. VCU exposes ugly realities regarding the financial pressures of the contemporary HBCU. With an enrollment of 4,000, BCU was founded in 1923 by pioneering educator Mary McLeod Bethune, a confidant of First Lady Eleanor Roosevelt. The university made presidential headlines of a different sort last year. On May 10, 2017, Secretary of Education Betsy DeVos was the keynote speaker at commencement. Her address was met with protests by some graduating students, who stood and turned their backs to her as she spoke. The legal wrangling between Bethune-Cookman and Virginia Union is unfortunate, said Dr. Marybeth Gasman, the Judy & Howard Berkowitz Professor of Education in the Graduate School of Education at the University of Pennsylvania.